Most people consider a concrete home a very costly venture. The fact is that an ICF home costs only slightly more than a house made of wood as the following article states. "Many homeowners assume that a concrete home will cost considerably more than a comparable stick-built house. But in reality, you may actually save money by building with concrete when you factor in life-cycle costs, utility expenses and maintenance requirements. Other important benefits you can't put a price tag on include a better quality of living and a healthier, safer environment. 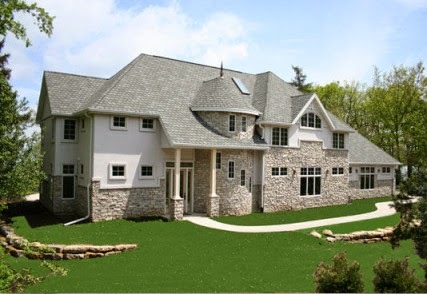 The cost to construct an ICF home is only slightly higher than for a comparable wood-frame home (about 0.5% to 4% on average), and the added upfront expense is quickly paid back through the savings in monthly heating and cooling costs. Just how much you'll save depends on many factors, including the thickness of the walls, the number and types of windows in your home, ceiling insulation, the sizing and efficiency of the heating and cooling equipment, and the climate in the region where you live. But in general, a typical 2,000 square foot home in the center of the U.S.will save approximately $200 in heating costs and $65 in air conditioning annually. What's more, ICF construction allows the installation of smaller heating and cooling equipment, which can save you hundreds or even thousands of dollars. You can also recoup your investment in a concrete home by big savings in insurance costs. Many agencies offer discounts on homeowner's insurance policies of up to 25% for ICF homes because of their resistance to fire, tornadoes, hurricanes and earthquakes."